​families in the Des Moines Area. ​Use the AmazonSmile program to get your deals and make your purchases. With your selected charity set to Islamic Center of Desmoines, a portion of all your purchases will be donated to ICDM. Alhumdulillah! Potluck dinner, social and lecture to reconnect the families at ICDM. Bring dish to feed your family and a little more. 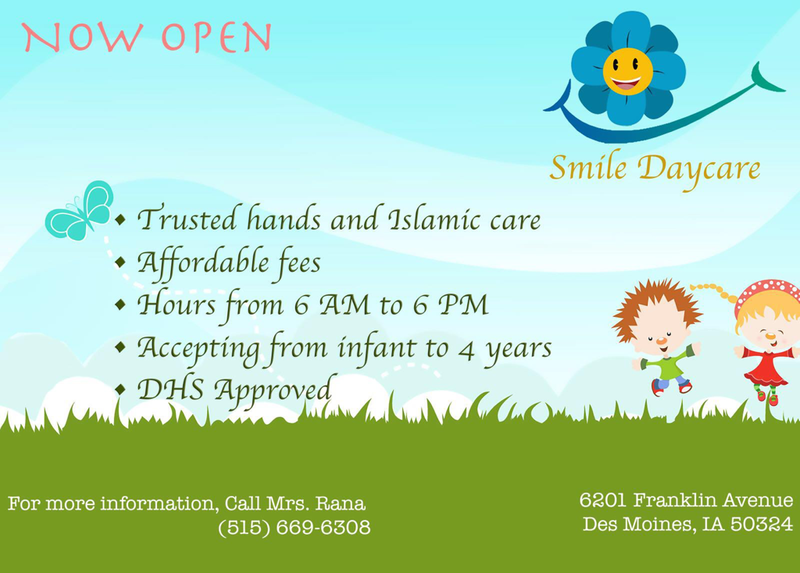 ​Islamic Center of Des Moines is an organization of Muslims providing facilities and personnel for regular and special prayers, religious and language education for all age groups, social and religious interaction and outreach programs with other Faith groups and other social/community organizations. My name is Imam Younes Ali Younes. I graduated with a degree in law from the Azhar University in Egypt. Alhamdulilah, after working as lawyer for a period I began working as imam. In 2007 I moved to US and have been working as imam at Islamic Center of Des Moines ever since I have memorized Al-Quran (Quran Hafiz) and have been teaching Quran for several years.